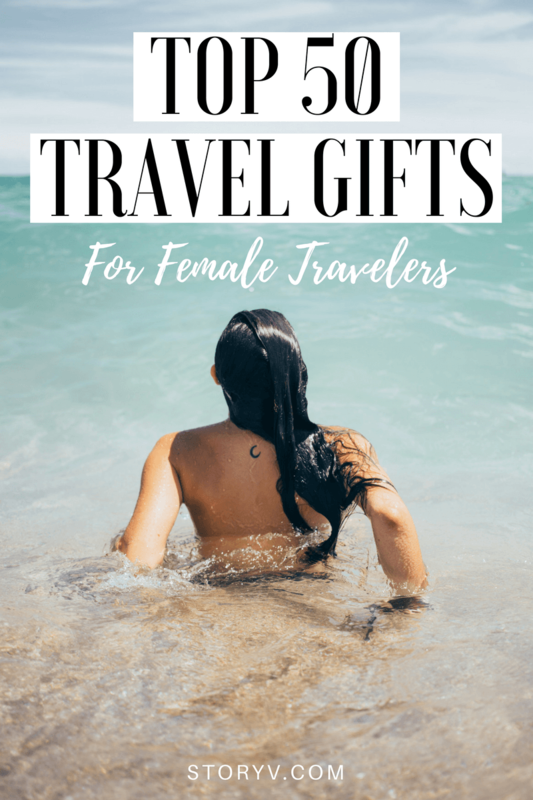 Ultimate List Of 50 Summer Travel Gifts For Female Travelers! 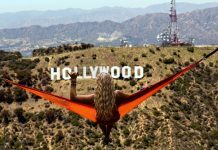 Home Lifestyle Gift Guide The Ultimate Gift Guide For Female Travelers! 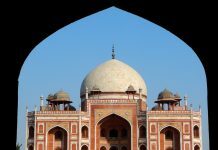 The Ultimate Gift Guide For Female Travelers! 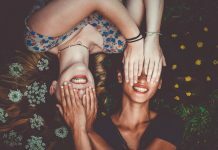 If it’s summer where you are right now (lucky you) and you’ve got a few events coming up for girlfriends who love to travel, you’re in the right place! 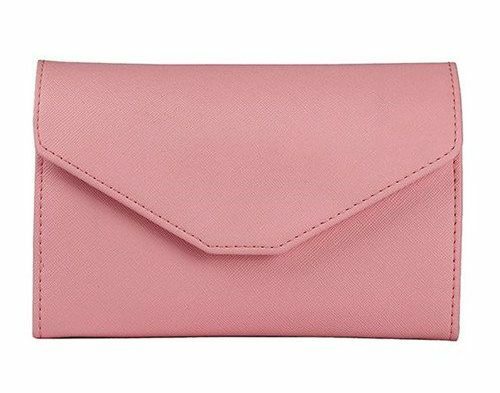 Here we’ve listed 50 of the coolest travel accessories which make amazing gifts for female travelers! Oh, and we dare you to try and get through this entire travel gift guide without picking up a few things for yourself as well!! 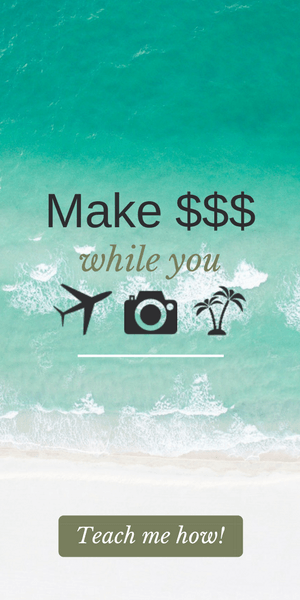 Keep calm and go swimming… Seriously, it’s time for your travel loving friend to get on a plane to the Maldives. Or Tahiti. Or just somewhere with that dreamy crystal clear water! 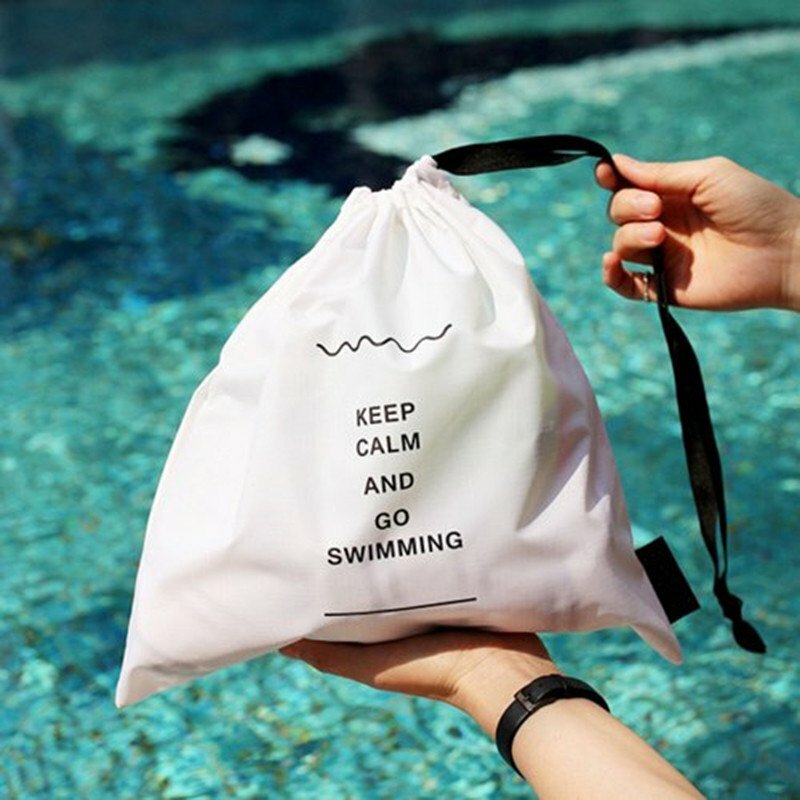 Wherever they end up, these KEEP CALM AND GO SWIMMING Waterproof Pouches are an essential. 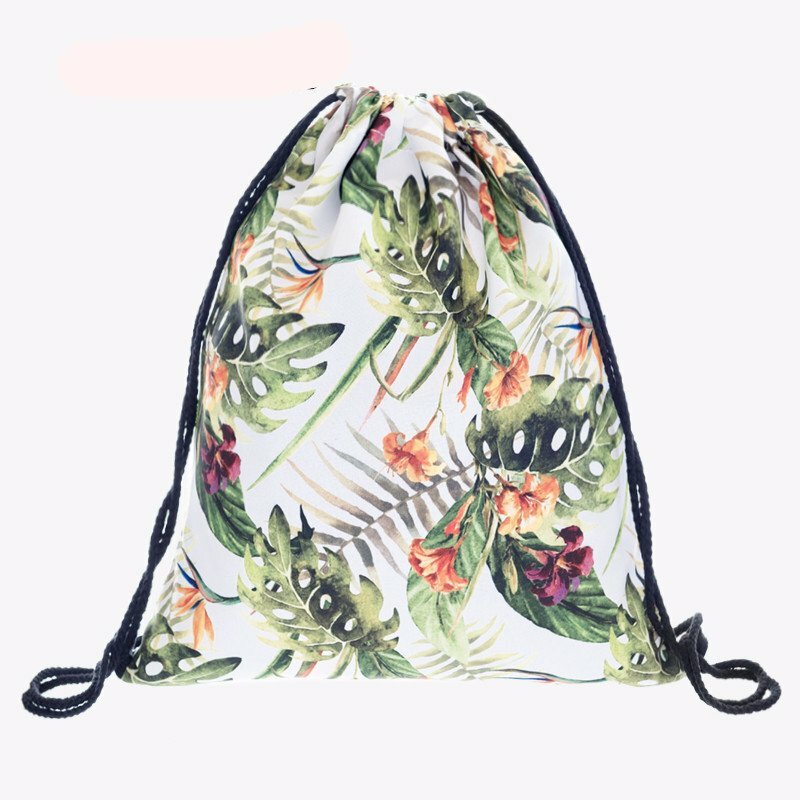 Sold as a set of 5 packing organisers in various shapes and sizes, these waterproof drawstring bags are great for wet bikini’s, toiletries, dirty laundry and even all of their wanderlust-inspired jewelry! Inspire your travel loving friend to go on more beautiful adventures with this elegant FLY AWAY WITH ME Necklace. Made of premium zinc alloy, this necklace is the perfect piece of jewelry to dress up any travel outfit! 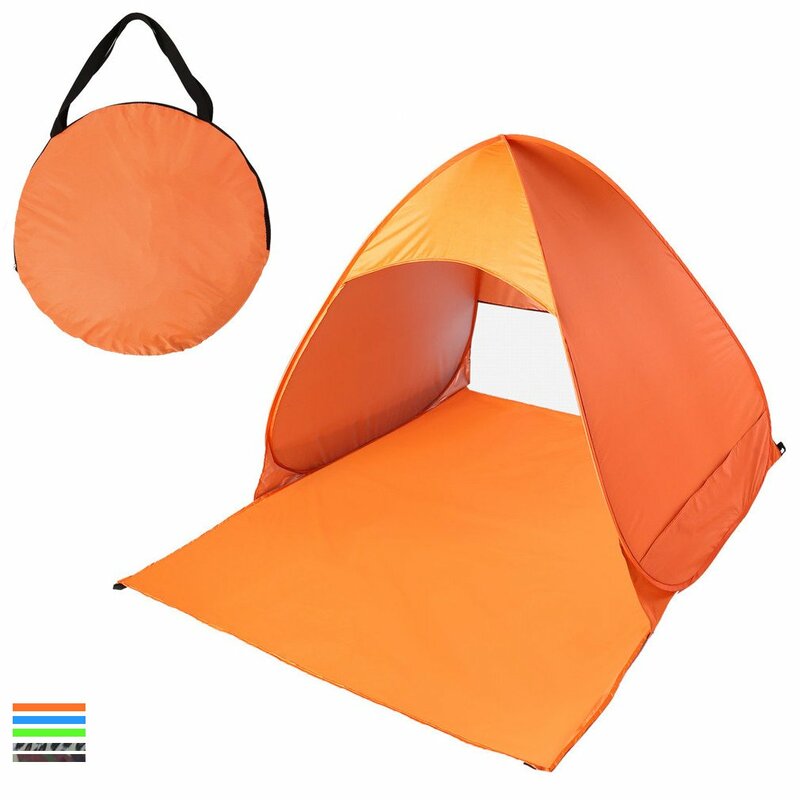 Help your travel loving friend hit the beach this summer with this SUNNY Pop Up Instant Tent! 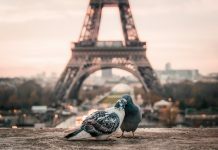 This will protect their skin from the sun’s harmful UV rays, wind and rain (fingers crossed it won’t come to that) and maintain their privacy at the same time. 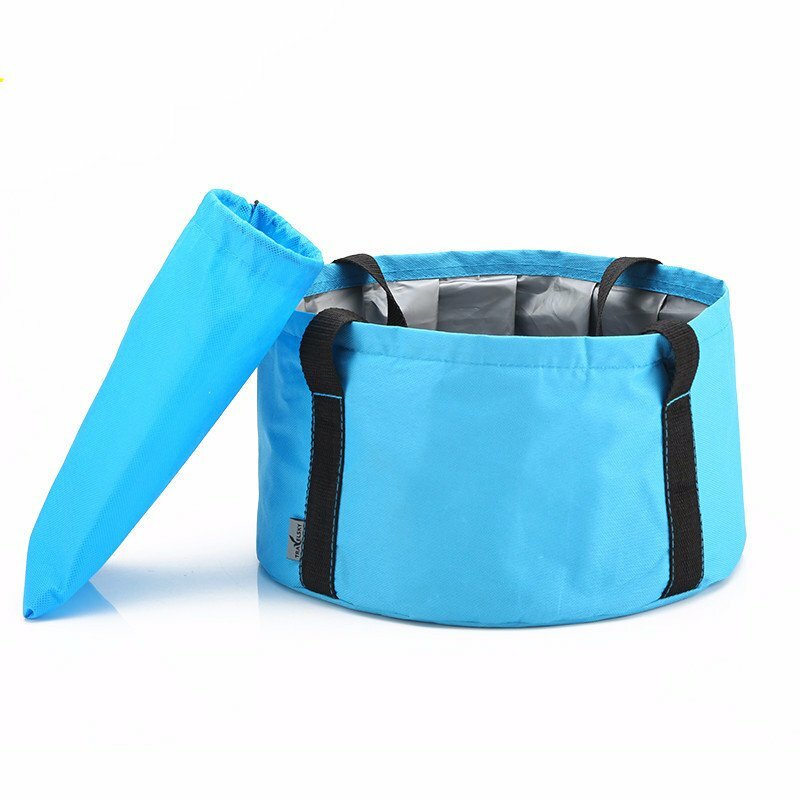 Folding up into a small round bag and weighing less than 1kg, this instant tent is so easy and practical to take with them anywhere! Available colours include orange, blue, green, leopard print and camo print. Amp up your friends’ wanderlust and help them get mega excited for their next trip by counting down the days on their GETAWAY World Map Calendar! There’s no better feeling than watching the BIG day they’ve been waiting for finally roll around. And what’s even more enticing about this world map calendar is that it looks stunning anywhere they put it – whether that’s in their office, bedroom or even on the back of their toilet door! 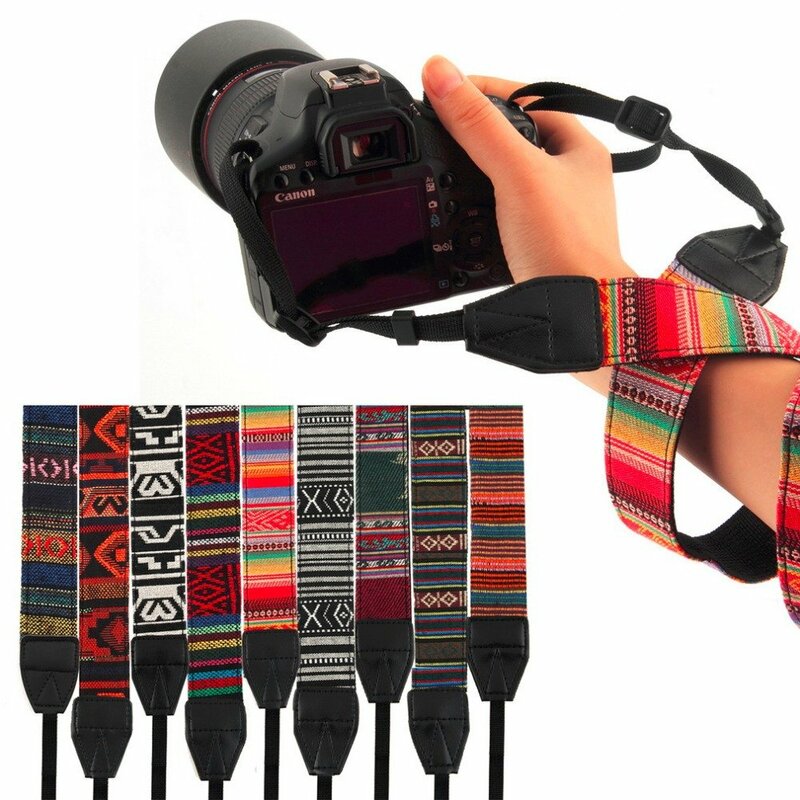 Help your travel obsessed friend snap the world in style with the AZTEC camera strap for DSLR! Choose from a range of amazing colours and patterns to suit their style and inspire their next wild adventures. Don’t let them go shooting without it! 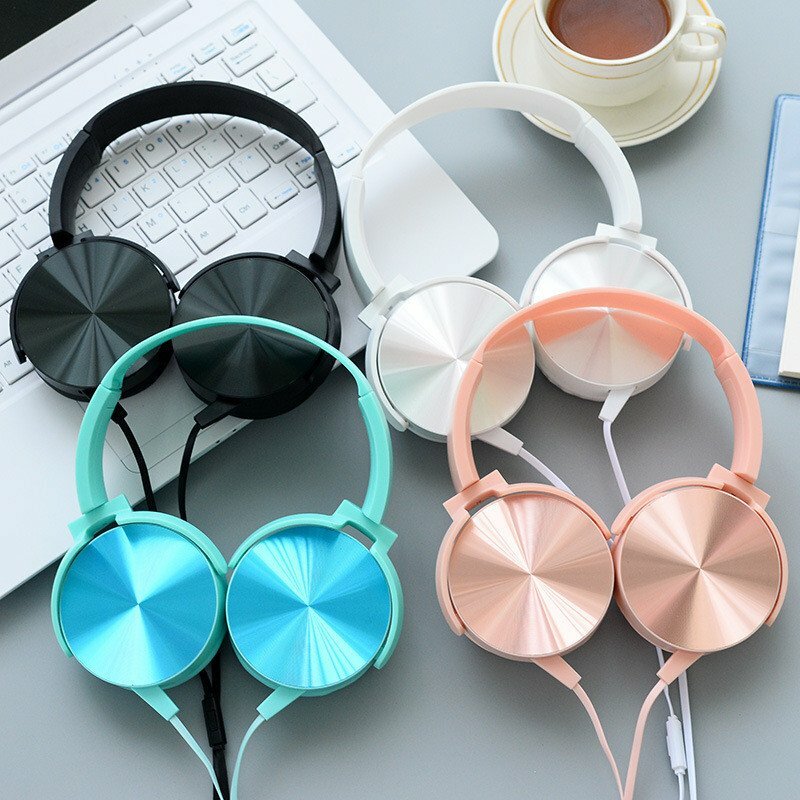 Help your friend look amazing and welcome positive travel vibes into their life listening to their favourite feel good tunes with the BON VOYAGE Luxury Headphones. Available in metallic rose, turquoise, white and black, they can amp up any outfit (even their comfy plane get-up) and bid adieu in style! Help your friend make a statement this summer with the INTO THE TROPICS Drawstring Travel Bag! Whether they’re heading to the beach, jungle, mountains or city, this super pretty little bag is so handy for carrying all their essentials. 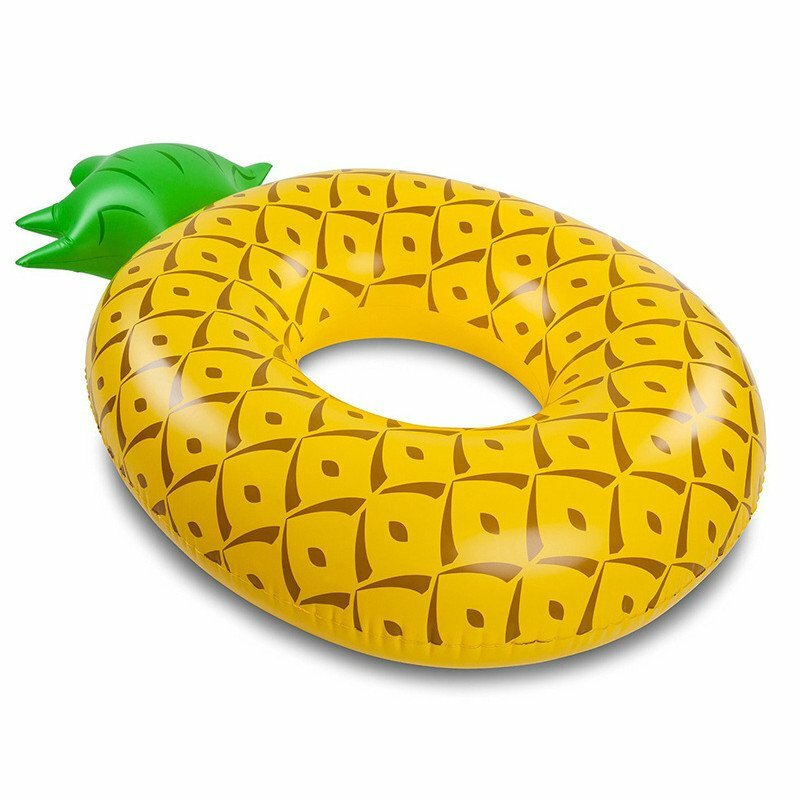 Don’t let them go on vacation without one! 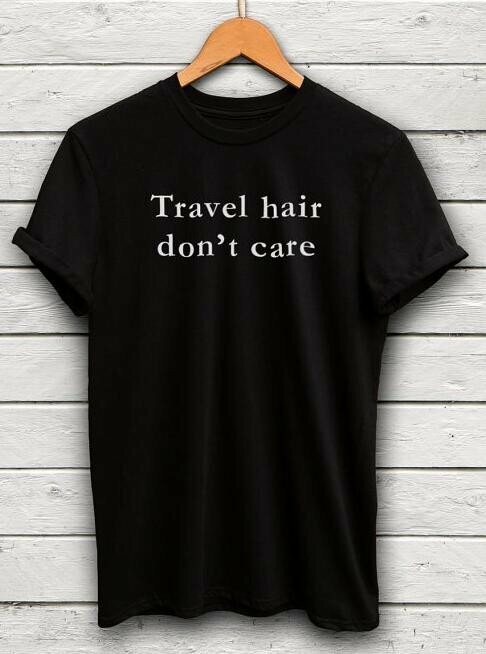 Help your friend match that wild-child look they’ve got going on with this amazing TRAVEL HAIR DON’T CARE Women’s Tee. It speaks the truth. Life’s short! 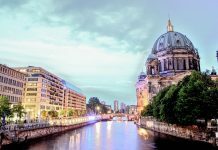 There’s no better time than now for you and your friends to start ticking those dream destinations and travel experiences off your bucket lists! 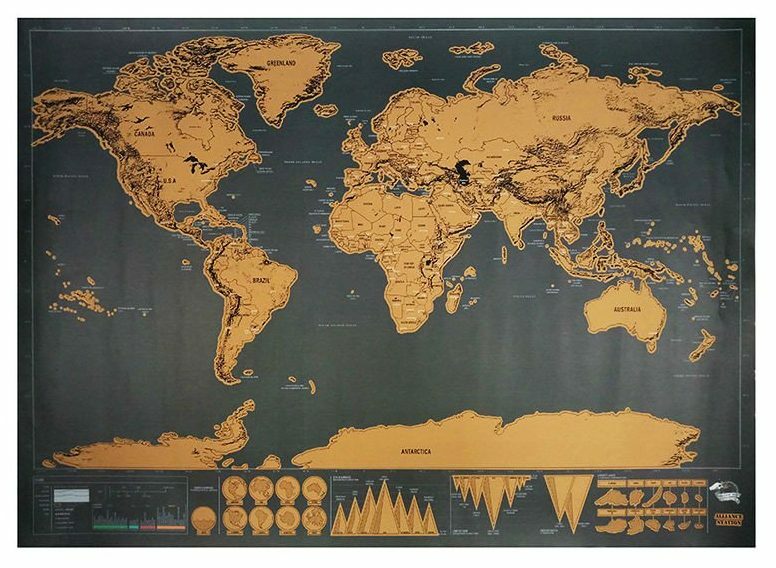 And we say, hey, what better way to do it than with a fun scratch map?! Your friend can pin it to their favourite wall – it looks great – or take it traveling with them. 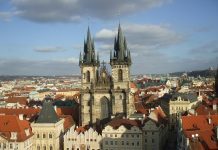 They’ll feel an amazing sense of accomplishment as they reveal each new country, finally ticked off their bucket list! When anything and everything travel related gets brought up, your friend is the first to tune in. they’re always daydreaming of their next wild adventure and they’re happiest when they can spread out their wings and fly. 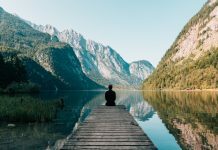 Yep, your friend suffers from a serious case of wanderlust and there’s only one way to cure it – with a good dose of adventure! 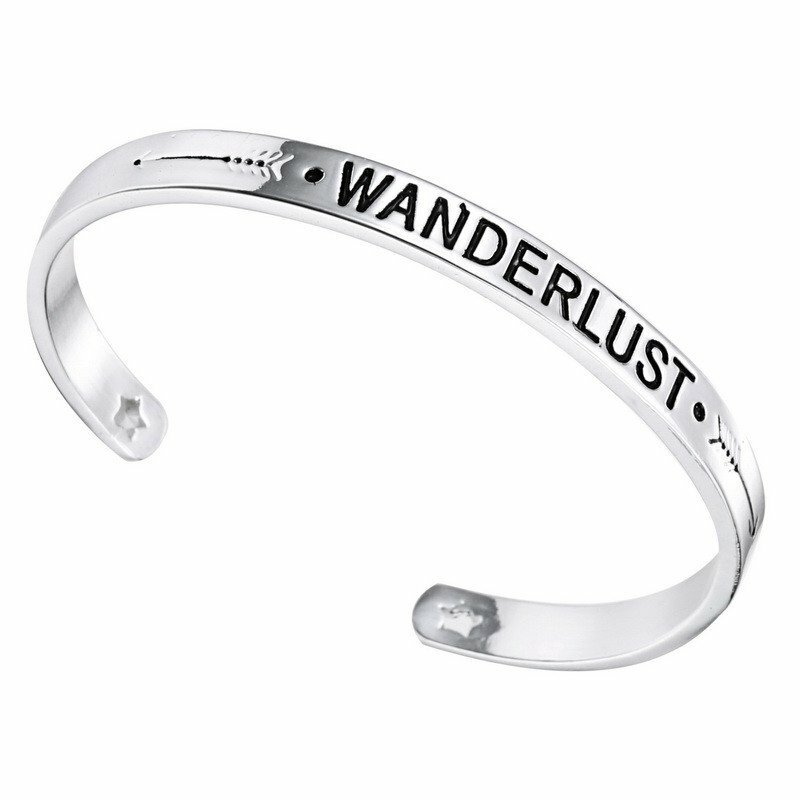 This WANDERLUST Bangle is the perfect accessory to take with them. 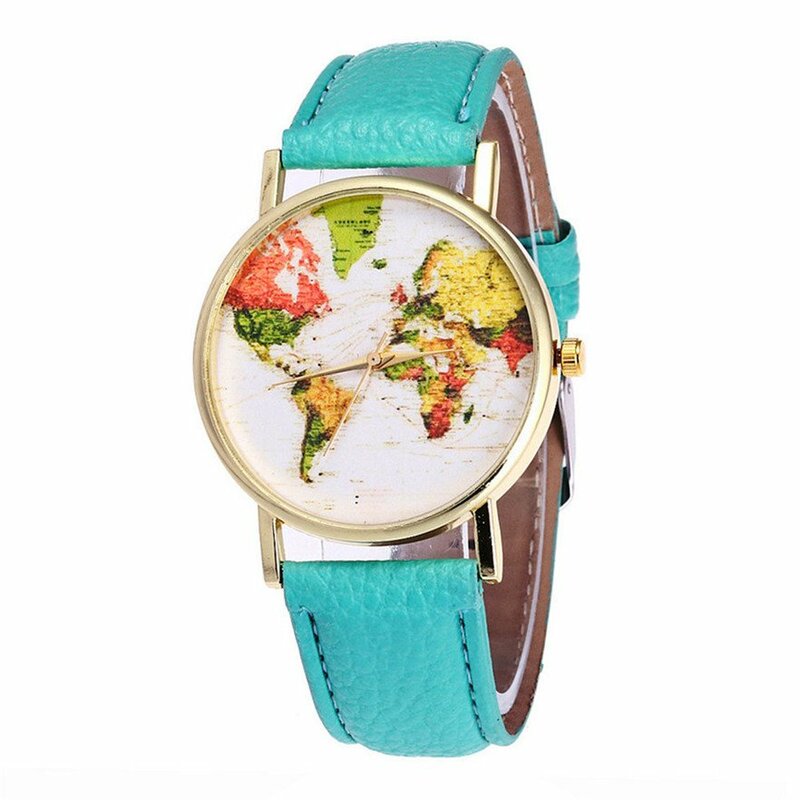 They can also match it with a cute world map watch for a babin’ boho look! 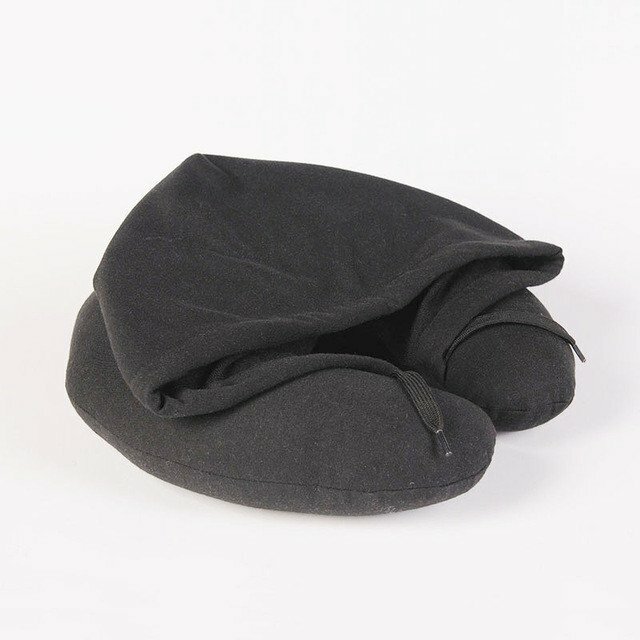 Help your friend rest easy and look fly while traveling wearing the FLY Hoodie Travel Pillow. 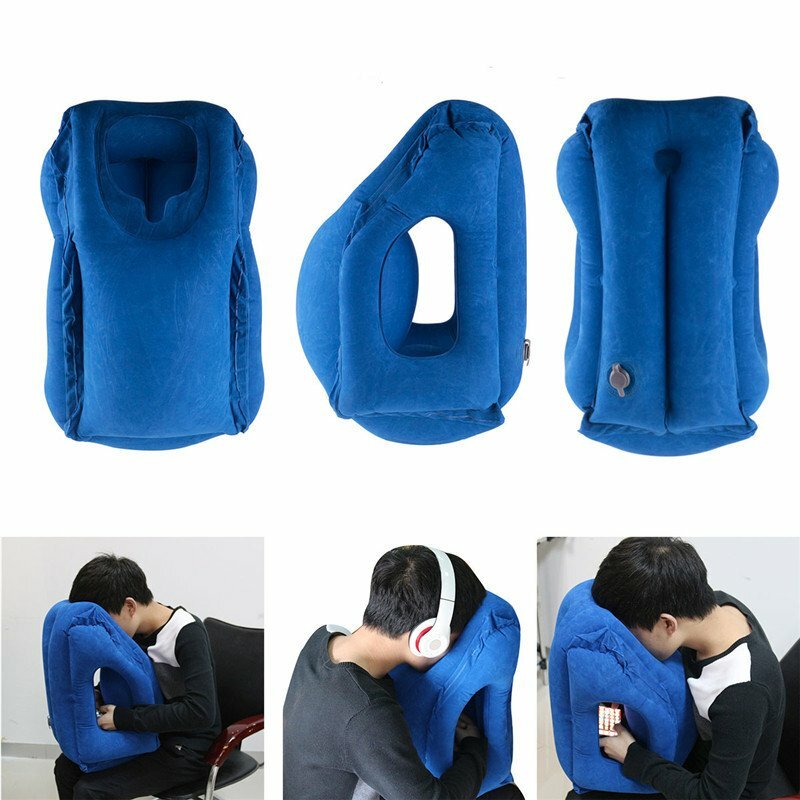 Available in 5 different colours, this neck pillow is the perfect travel accessory for your friend to get some shut-eye, keep their ears warm and stop their neck from cracking in half (we’ve all been through it). 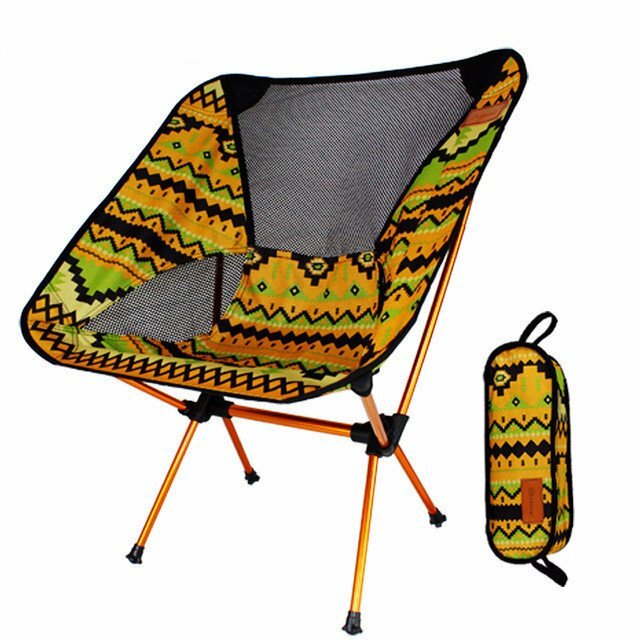 Camping chairs just got like, really fashionable… Say hello to the FREEDOM Fold-up Travel Chair! 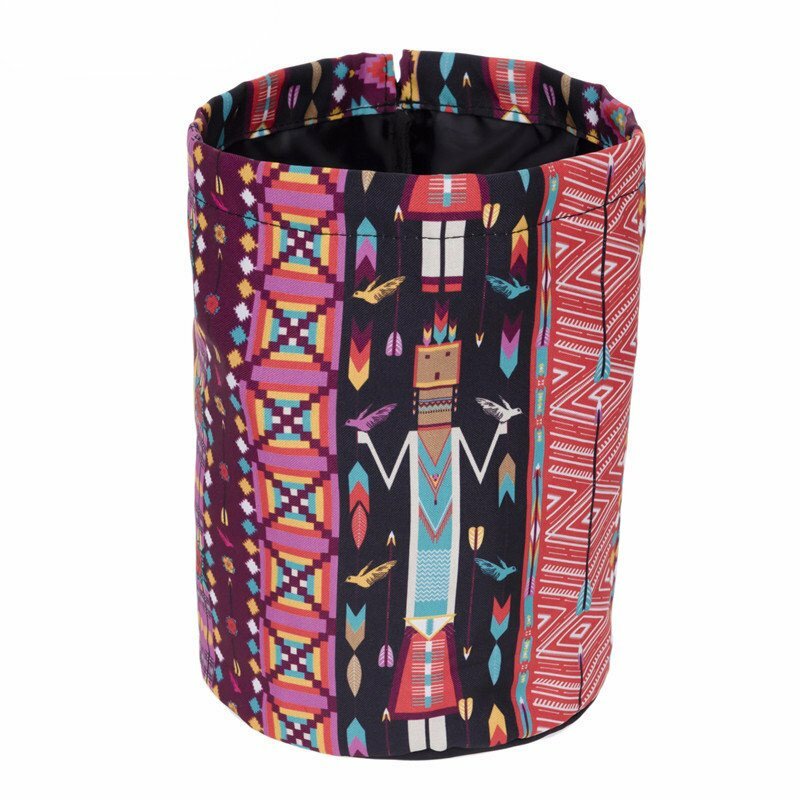 Available in mustard and red, these aztec-pattern foldable chairs are so small, lightweight and versatile that your friend will be able to take it just about anywhere! Did someone say picnic? 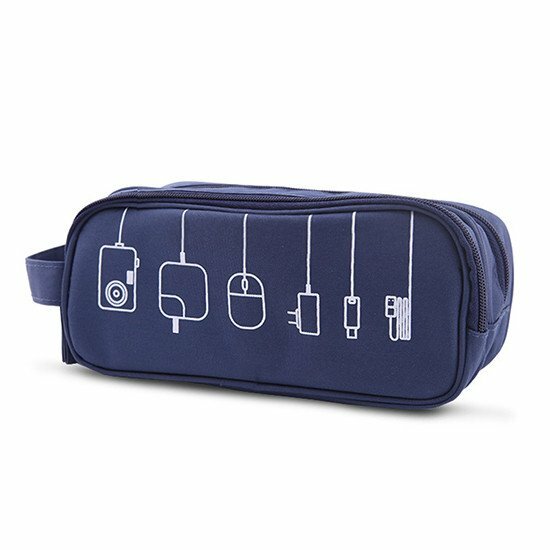 Help your friend keep all their gadgets and cords organised and in one place when they travel with the CONNECT Digital Gadget Travel Bag. Perfect for portable phone chargers, hard drives, USB devices, laptop chargers and more! They’re at peace where nature and serenity are in abundance and vitamin sea is their go to cure for everything. 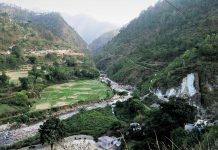 They practice going with the flow as they move through the unpredictable journey that is life and traveling is their method of release whilst doing so. 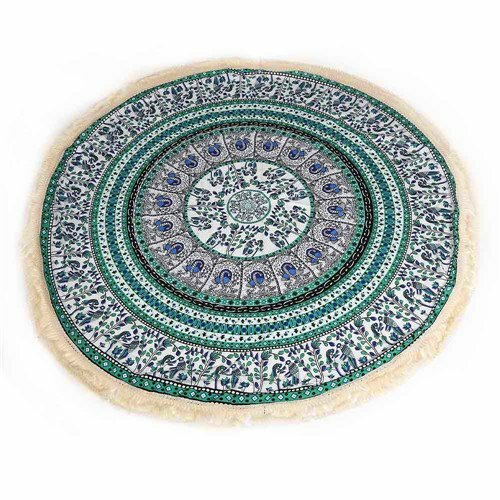 Now it’s time to help your friend circumnavigate their way through the kaleidoscope of existence with the Mandala Tassel Roundie by their side! This beauty is available in blue, green and red. 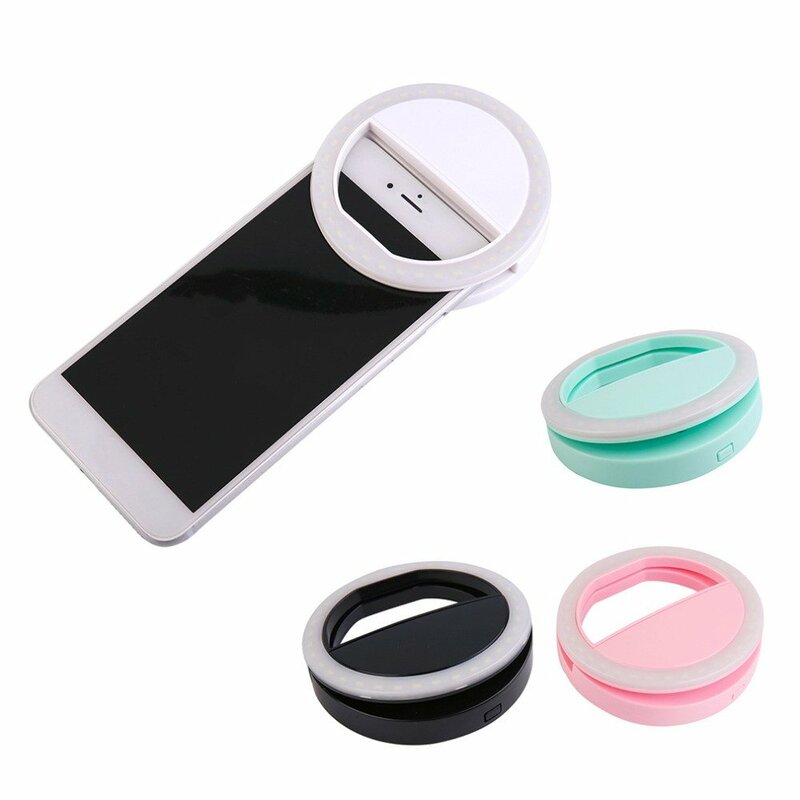 Help your friend take quality travel pics on the go with these SELFIE Led Light Rings! 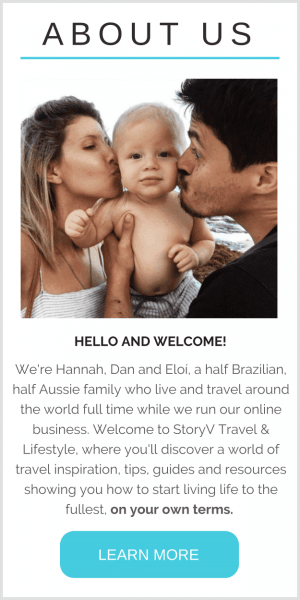 No more dark, pixelated photos that they can’t do anything about (even with the best editing software)… Get them to use a SELFIE Led Light Ring on their Samsung or Apple smartphone and return home with a whole ton of Instagram-worthy travel memories! 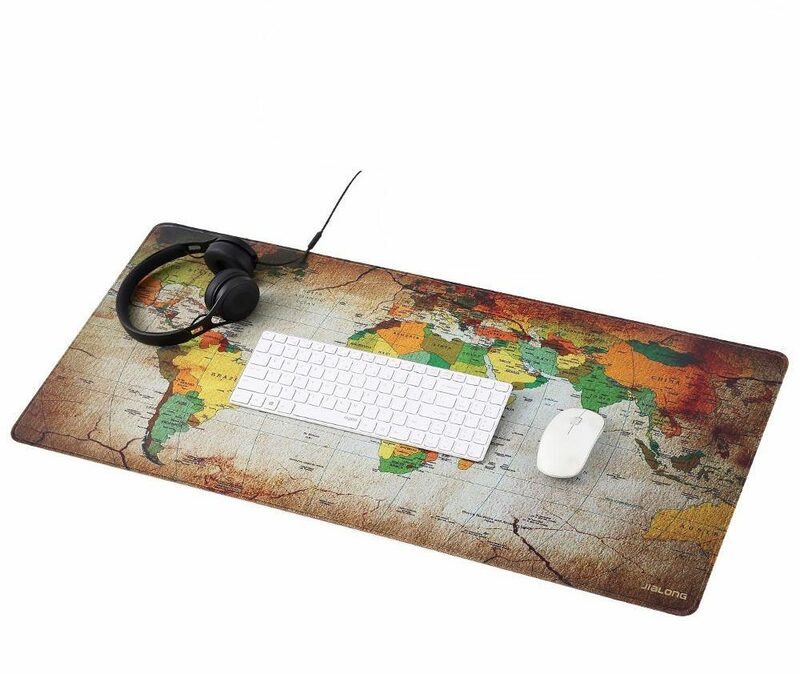 Help your travel loving friend add a statement piece to their work desk with this COLOURFUL WORLD Large World Map Mouse Pad, perfect for travel themed office spaces! 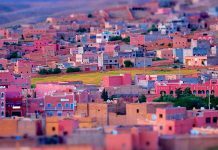 No matter how much of a free spirit your travel obsessed friend wants to be, let’s face it – traveling requires organisation. Don’t let them sweat it though, because something as simple as the FIRST CLASS Passport Organiser will turn them into a travel planning boss. 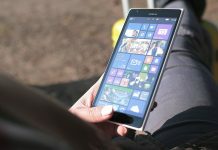 Now they can keep all of their travel documents, itineraries and visas together with their passport and credit cards in one small wallet. Don’t let your friend get flustered trying to find the right document at the check-in counter ever again! 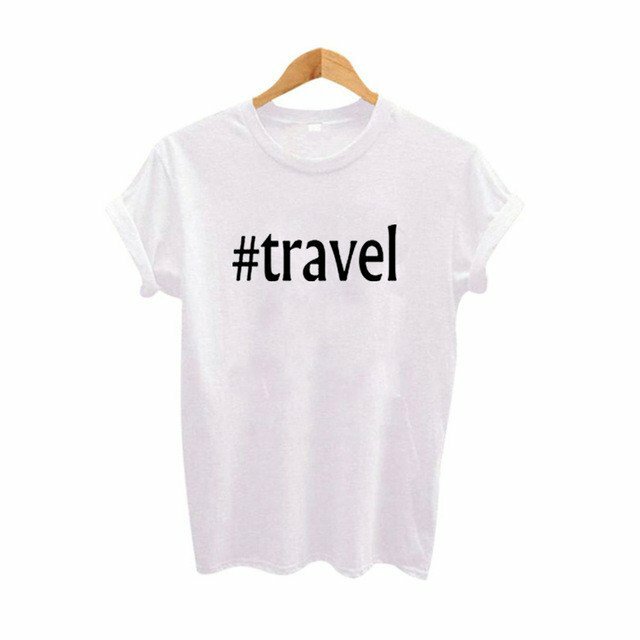 Help your travel loving friend make a subtle statement and share their passion for seeing the world this summer wearing this elegant WANDERLUST Women’s Tee. 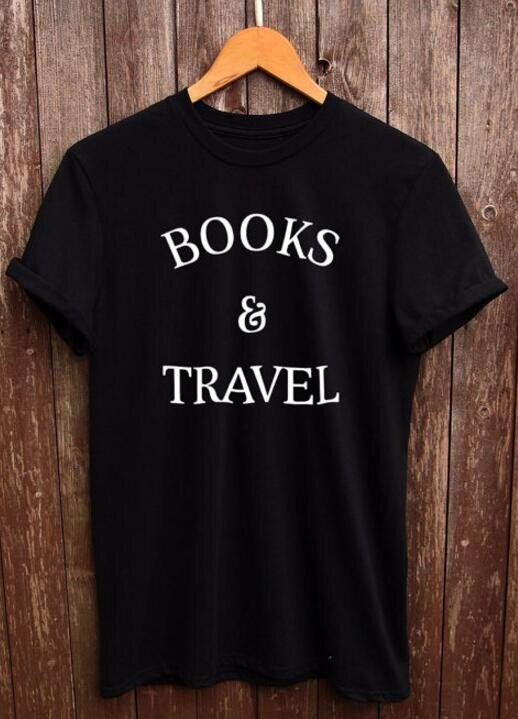 They could pair this tee with denim cut-off shorts and wanderlust-inspired jewelry for the perfect casual travel look! 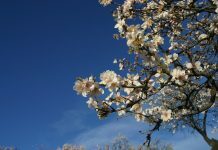 Does your friend need help organising their weeks a bit better? 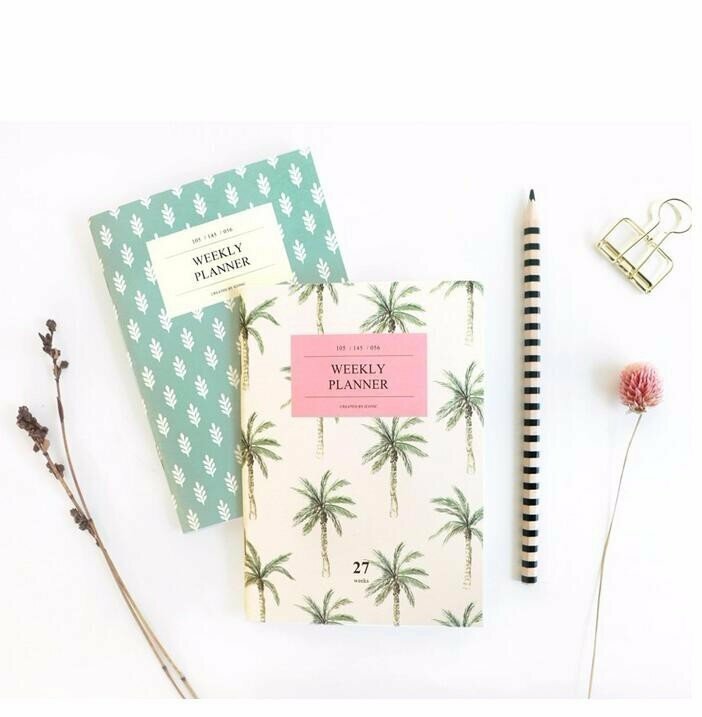 Perhaps they’ve got a trip coming up that they’re trying to budget for… The WILDLY ORGANISED A6 Weekly Planner, available in Mint and Palm is so cute and so practical. They can take it anywhere, check their schedule on the go, jot notes down when they’re feeling inspired… It’ll come in handy wherever they are! The lovely lady you’re buying this for doesn’t mind camping in the wild… In fact, they really enjoy it… But there’s one thing they can’t stand, and that’s feeling dirty and not being able do ANYTHING about it. Well hey! We’ve come to save the day with the HAPPY CAMPER Portable Folding Wash Basin! 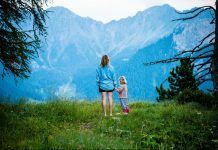 They can use this for just about anything – doing the dishes, washing their clothes or taking a sponge bath – so now there’s no excuse for them not to go and be a wild child! Help your friend easily carry all of their travel toiletries in their luggage with the ENCHANTER barrel-shaped cosmetic bag. 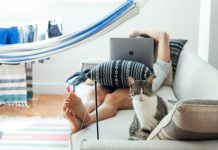 It’s tall, round shape allows them to stand their liquids upright without having any of those dreaded spillages, and the drawstring closure makes it super easy to get in and out of. To top it all off, it’s unique shape and tribal pattern make for a really cute little bag! 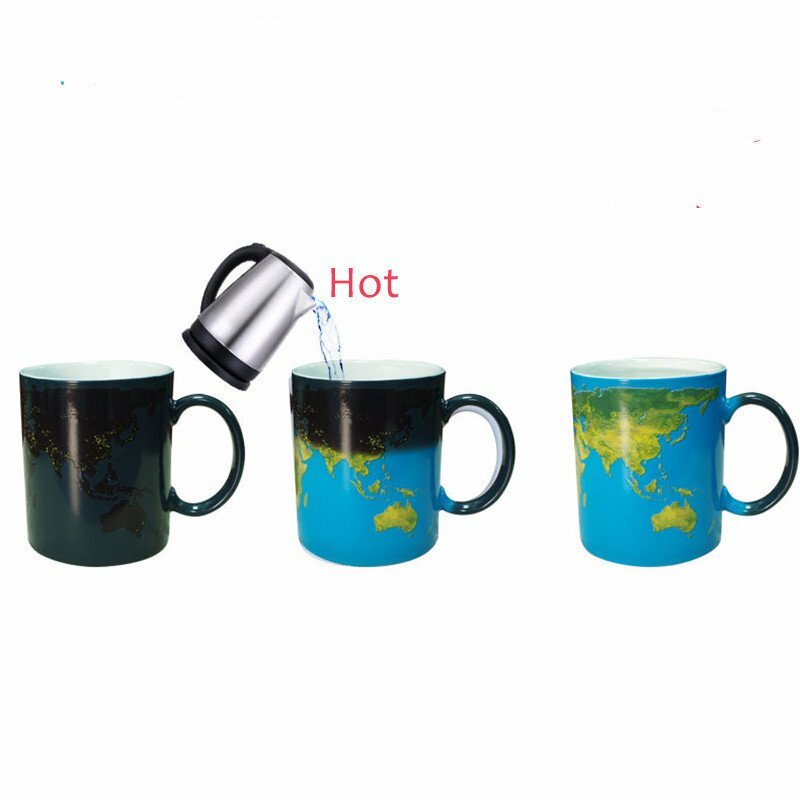 Your travel obsessed friends will love watching their favourite coffee mug turn from black to world map every morning with the DISCOVER Colour Change World Map Mug! Perfect for coffee loving wanderlusters, this mug gradually changes colour as they pour their hot milk or water into it. Female travelers need this on their desk right now! Help your friend look amazing and welcome positive travel vibes into their life listening to their favourite feel good tunes with the ZEAL Metallic Earphones. 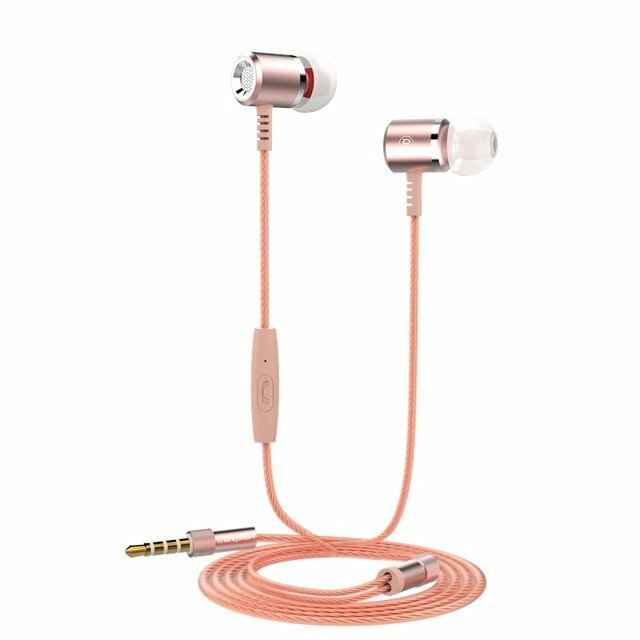 These earphones are dainty and discreet for when they don’t feel like making too much of a statement. They’re also great for travel because they fit just about anywhere. Available in metallic rose gold, grey and gold, your friend can subtly amp up any outfit (even their comfy plane get-up) and bid adieu in style! 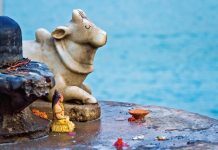 Does your friend love collecting little trinkets that serve as unique reminders of their adventures around the world? Then they’ll love this TRAVEL CHARM Wire Wrapped Bangle! 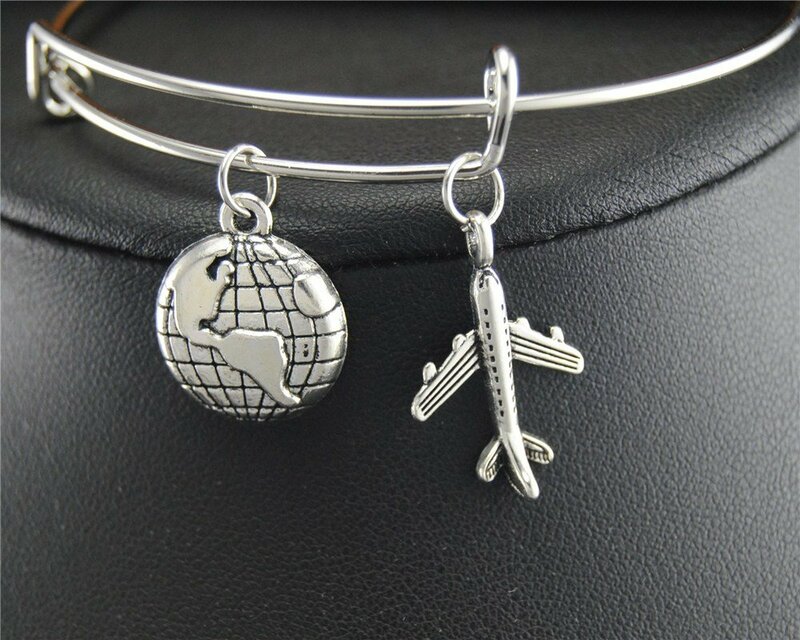 With a cute silver globe and airplane dangling from your wrist each day, they’ll feel more inspired than ever to save up for their next trip! 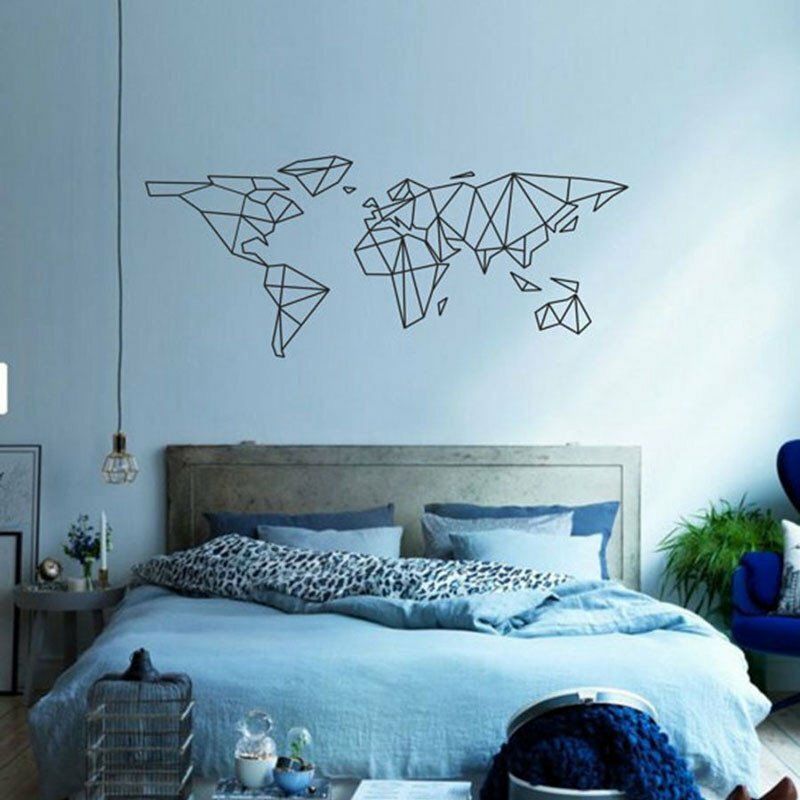 Help your friend spruce up an uninspiring office space or living area and ignite their wanderlust with this GEO World Map Wall Sticker! Available in two sizes and six colours, this is an easy and affordable way to create a beautiful feature wall in your friends’ humble abode! 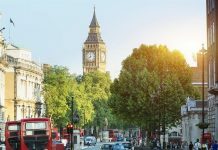 Is your friend going away with hand-luggage only? Then they’ll need these TEARDROP Silicone Travel Bottles! This set of 4 x 75ml silicone liquid bottles will allow your travel loving friend to bring their gels and liquids (shampoo, bodywash, facewash, etc) on the plane without getting anything taken off them at customs or finding any dreaded leaks through their bag. 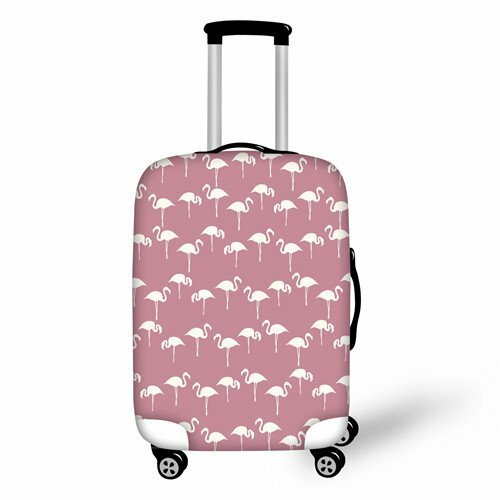 Help your traveling friend cover up that boring black suitcase and protect their luggage with this uber feminine FLAMINGO Elastic Luggage Cover, available in 3 tropical prints! 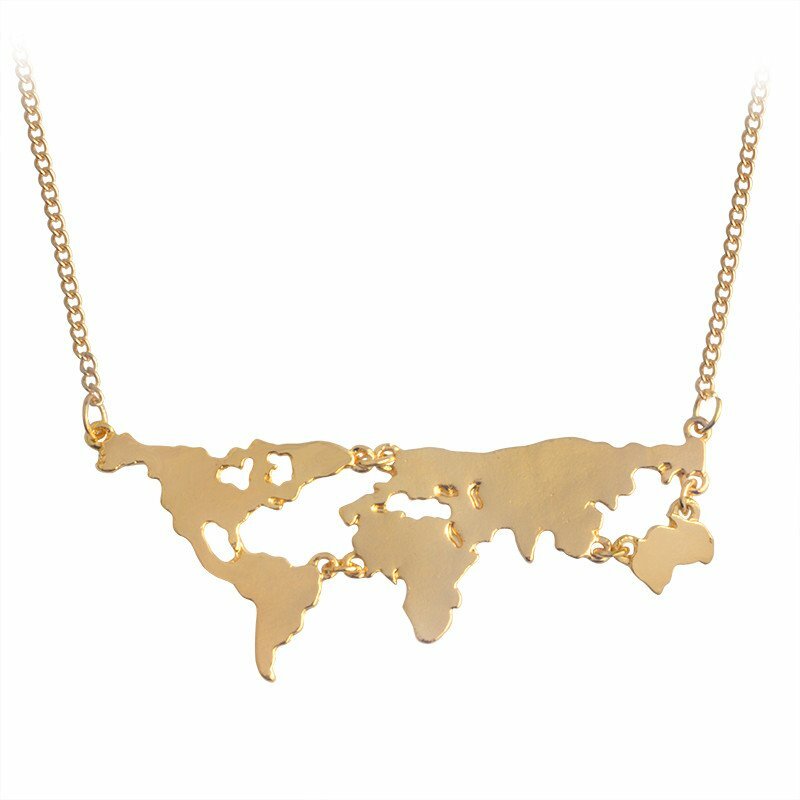 Remind your travel loving friend that the world is out there just waiting to be explored every time they look in the mirror with this WANDERLUST VIBES World Map Necklace! Made of premium zinc alloy, this necklace is perfect for female travelers who want to make a bold statement wearing any outfit, whether it’s a going out dress or their comfy plane get-up! Now your friend can pin their amazing travel memories to their wall with the WHERE I’VE BEEN WANDERING World Map Cork Board! 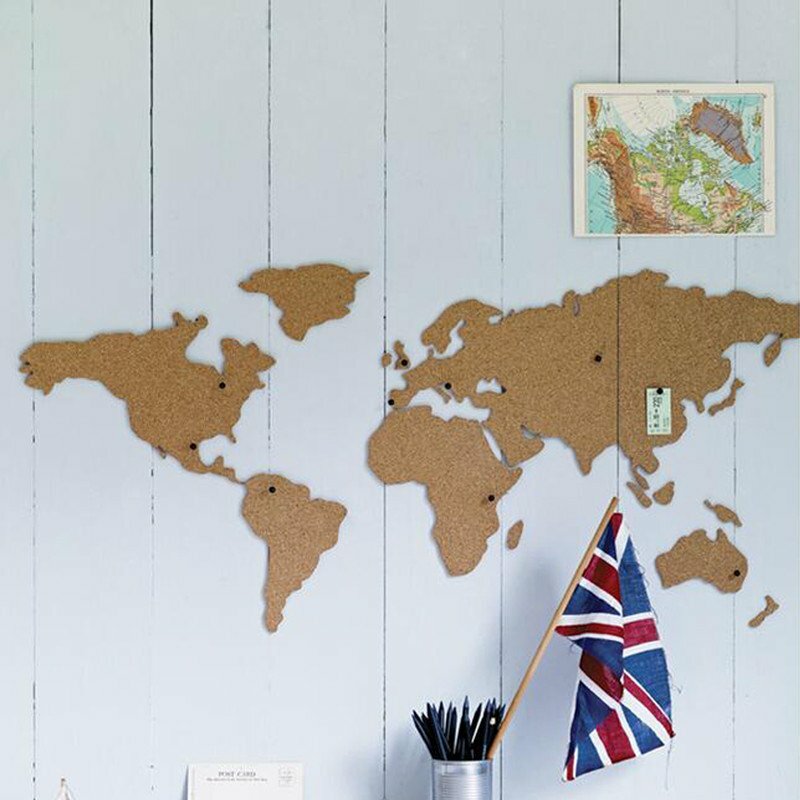 This cork board is so cute and looks good just about anywhere… Perfect for turning a drab, boring office space into a travel themed room of inspiration! “Hakuna matata” is a Swahili phrase; roughly translated, it means “no worries”. But you already knew that, right? 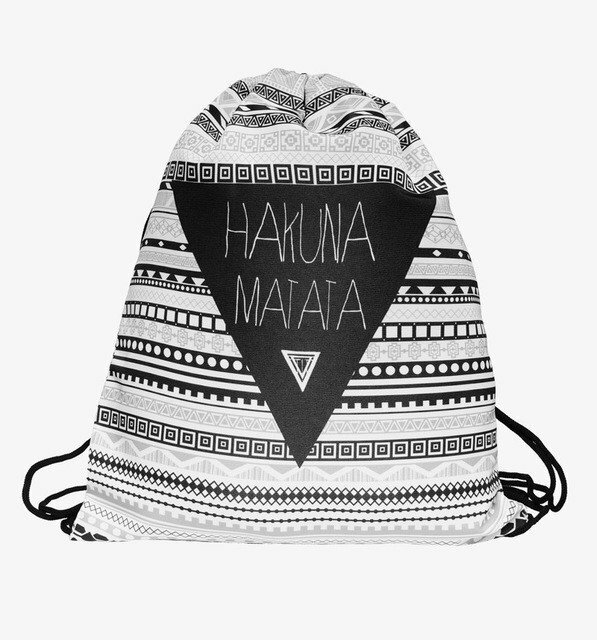 Help your friend live life the Swahili way with this multi-use geometric HAKUNA MATATA Drawstring Travel Bag – an essential for every female traveler! Help your friend travel and listen to their favourite music wire-free with this EASY TRAVELER Bluetooth Speaker Headband! They can wear it as a hairband, keep their ears warm and listen to music discreetly, anywhere, anytime. 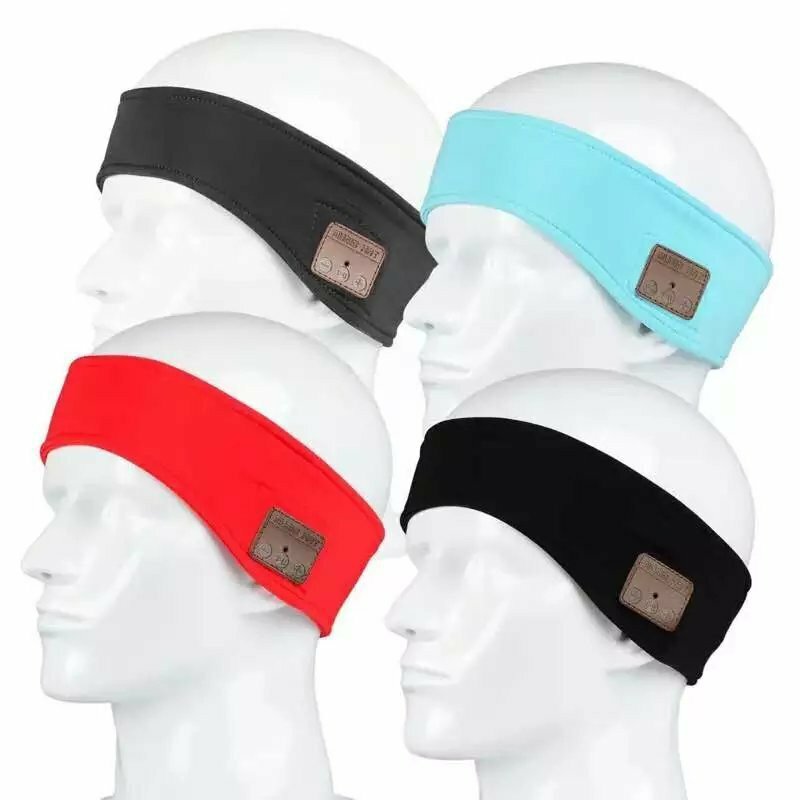 The wireless bluetooth speaker headband comes in 4 modern colours and is compatible with iPhone and Android cell phones. 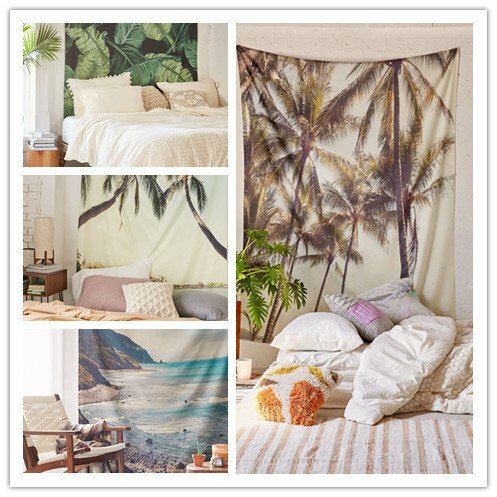 Give your friends’ bedroom or lounge room a cool travel vibe with these NAUTICAL World Map Cushion Covers, available in 4 different styles! 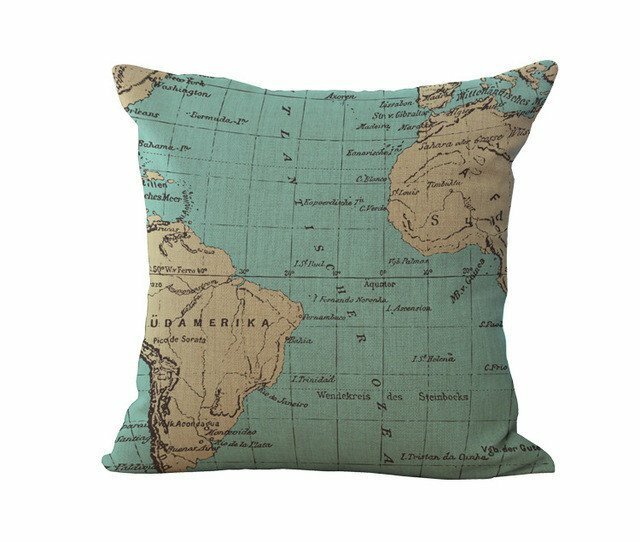 Whether they like vintage or modern decor, there’s a world map cushion cover to fit right in! So you’re buying for an ocean babe – vitamin sea is their go-to cure for everything from a pimple to a stressful day at the office (and it really does work). 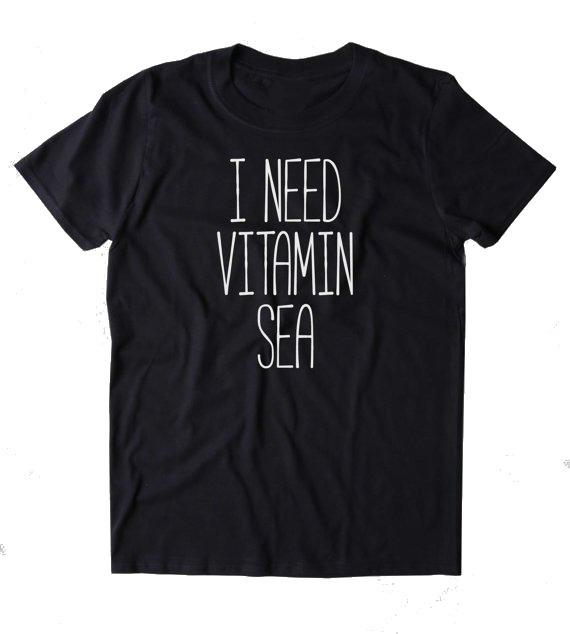 Luckily there’s a t-shirt for that… This I NEED VITAMIN SEA Women’s tee makes a bold statement paired with a cute pair of cut-off denim shorts and lot’s of wanderlust-inspired jewelry (the perfect beach-casual look in our eyes)! Help your friend easily carry all of their travel toiletries in their luggage without any dreaded leaks with the ALLURE Travel Cosmetics Bag! 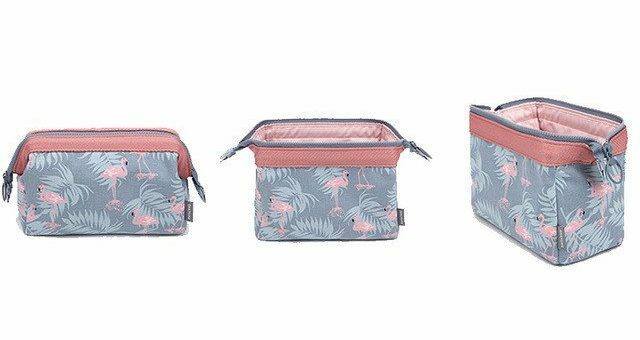 Available in 4 contemporary prints, this zip-up bag is handy for just about anything, including make-up, make-up brushes, jewelry and even all their digital gadgets! 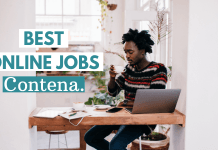 So, your friend is the amazing travel planner… The one who researches every single travel blog, forum and Pinterest account before a big trip to make sure they don’t miss out on a thing (send them our way). To help your friend stay organised during the chaotic trip planning process, THE TRAVEL PLANNER A6 Zip-up Daily Planner is exactly what you need to gift them with! 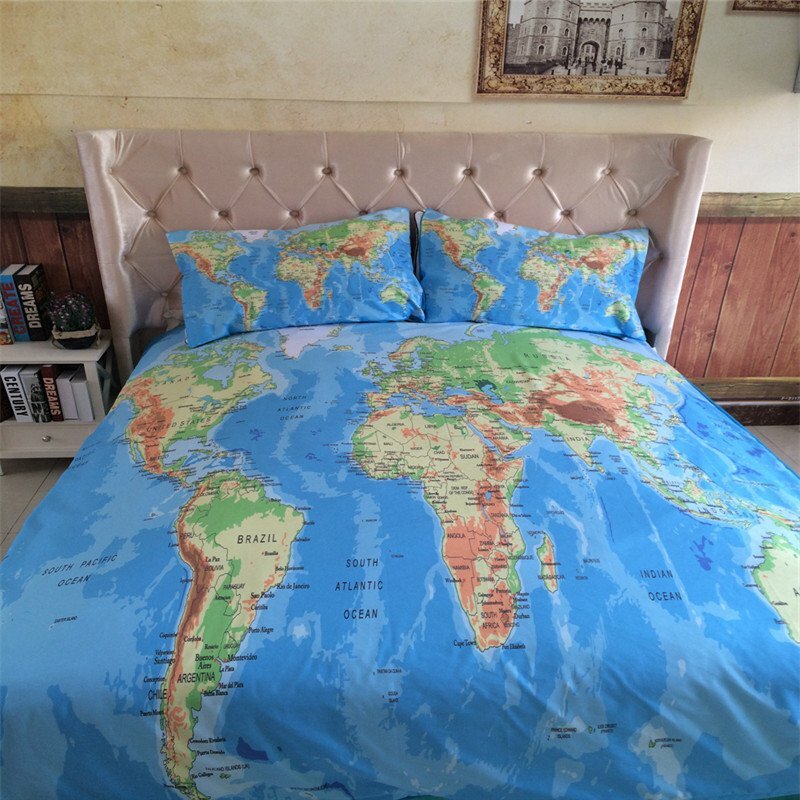 Help your friend turn their bedroom into a wanderlusters’ haven with this VIVID World Map Bed Set. Totally universal and great for all ages, they’ll be dreaming of amazing new adventures around the world every night! This bed set is available in twin, queen and king size. 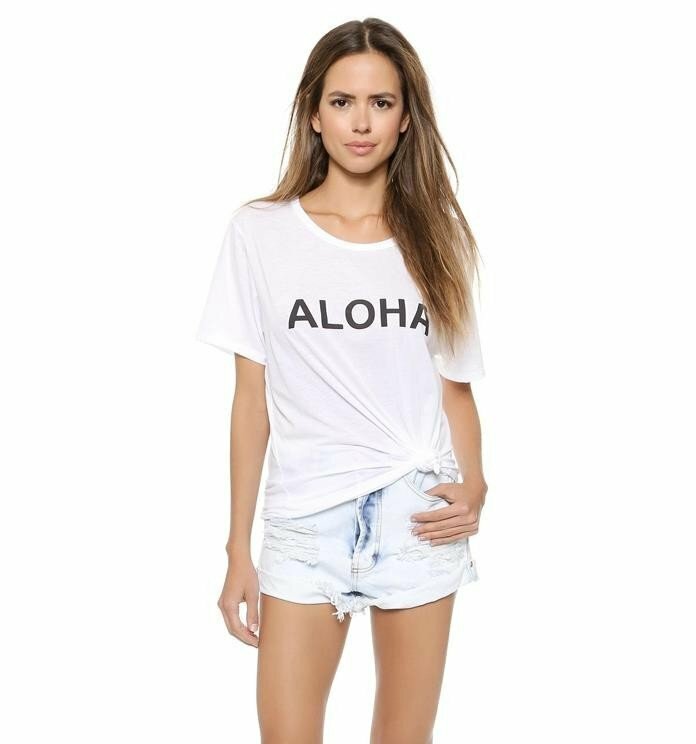 Tell you travel loving friend to say ALOHA to this versatile women’s tee and welcome those amazing tropical island vibes into their every day life! This beauty is available in black and white. 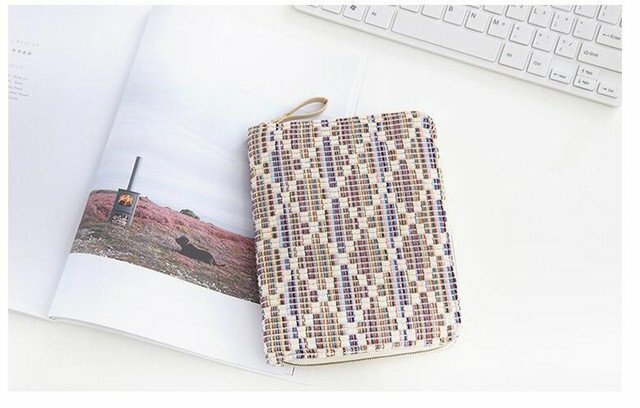 Help your friend #GIRLBOSS their way around the world with this super pretty DIGITAL NOMAD Women’s Laptop Case. 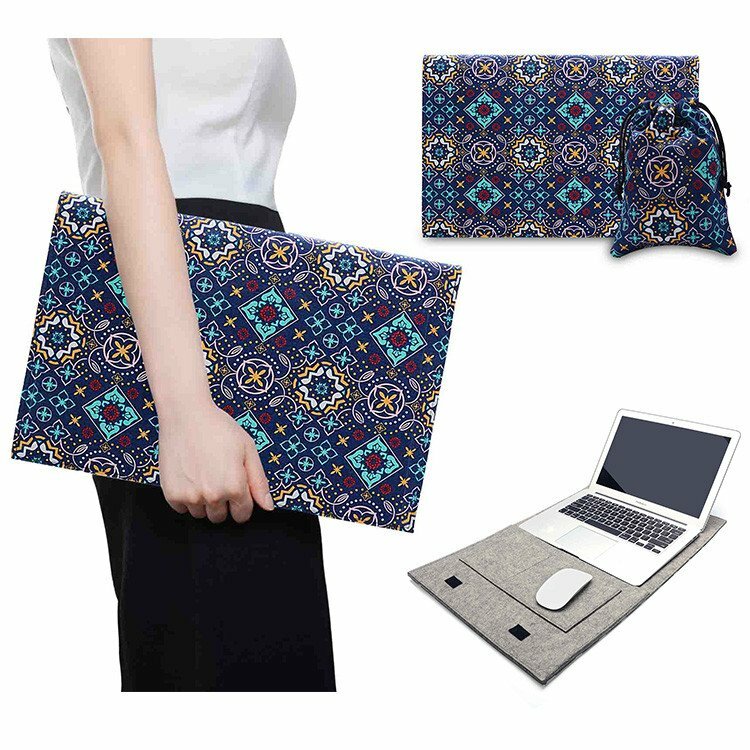 This felt laptop sleeve folds out flat so they can work on the go and have a clean surface to do it on. Now they can be productive and get s**t done wherever they want! Send your wandering friends a beautiful travel gift or wear it as a delicate reminder that the world is out there waiting to be explored – this PAPER AIRPLANE Necklace is everything and more. 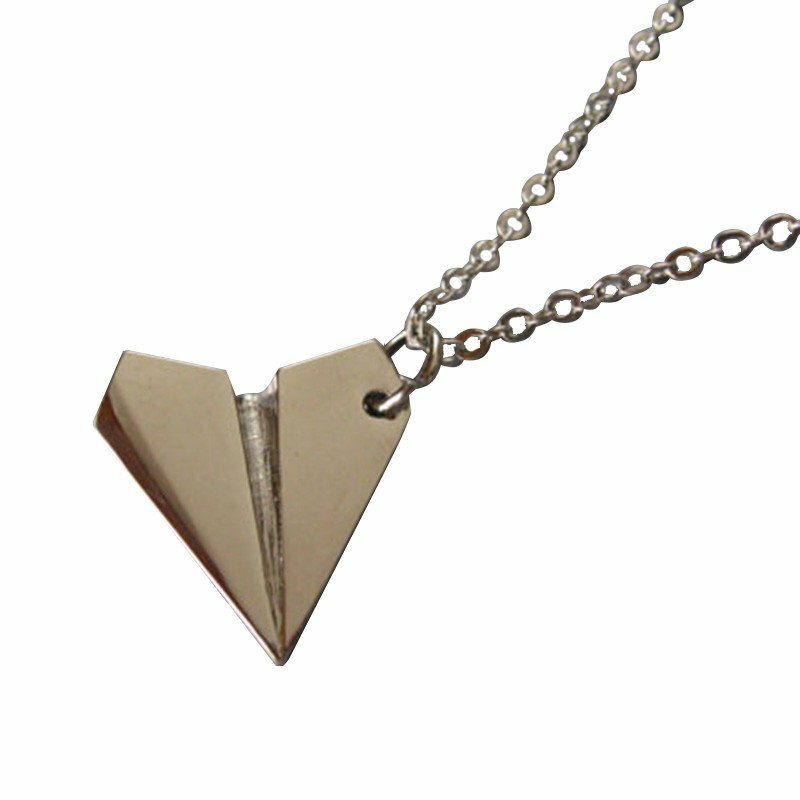 Taylor Swift and Harry Styles even love this playful pendant, so act quick because they’ll be flying out the door! 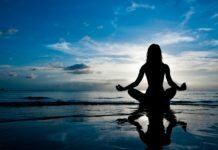 There’s nothing worse than sitting for hours on a long haul flight and not being able to get comfortable in any position – let alone sleep. But hey, now whoever you buy this for can! The SNUG Inflatable Travel Pillow for neck and head support may look odd, but who cares? Your friend is about to get some shut-eye on a plane for once! All they need to do is sit the pillow on their knees or tray table, rest their upper body along the curved side and stick their face in the hole… simple! 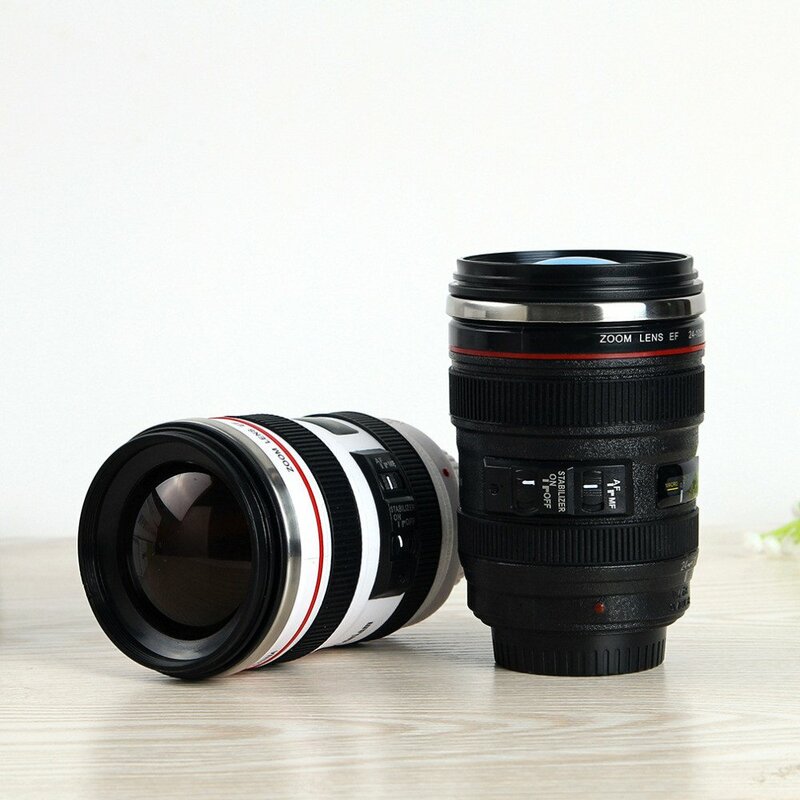 Needless to say, if your friend loves travel photography and they’re always on the go, this MUGSHOT Camera Lens Travel Mug is the perfect place to store their morning coffee! They’ll also get a kick out of fooling their colleagues… Professional camera lens? Or magical coffee cup? Who knows? 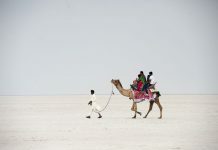 Is your friend the most organised traveler of the bunch? Well they’re about to get even more organised! Help them keep everything neat and easy to find inside their luggage with these INTERNATIONAL Travel Packing Cubes. With six separate packs of various shapes and sizes to fill, they’ll be able to whip open their suitcase and know exactly where everything is! 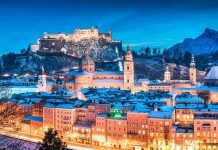 Lights, sounds and vibrant colours excite this female traveler in your life. 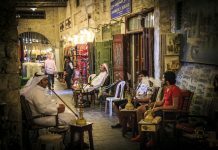 They dream of dancing their way through festivals around the globe, and meeting inspiring people from all walks of life fills them with joy. 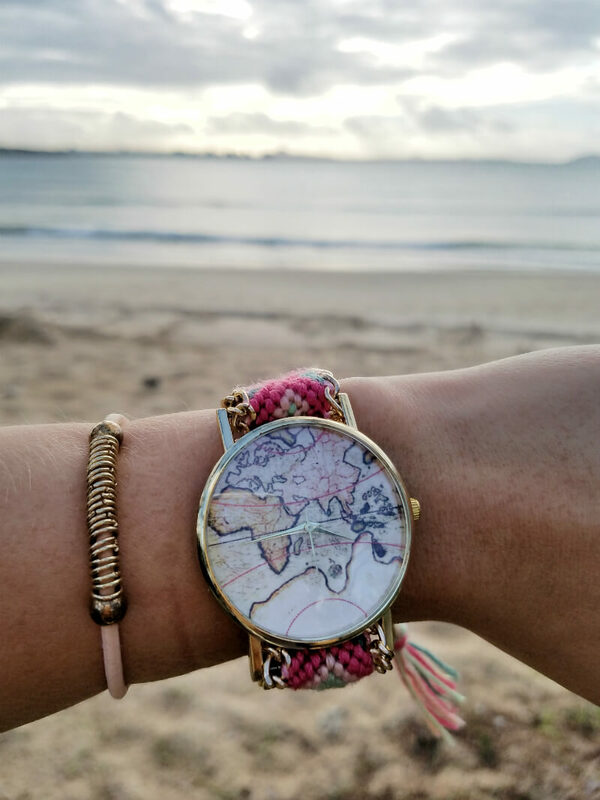 From the bustling streets of Delhi to the little green villages of China, the JOYRIDE World Map Watch will keep their travel spirit high! 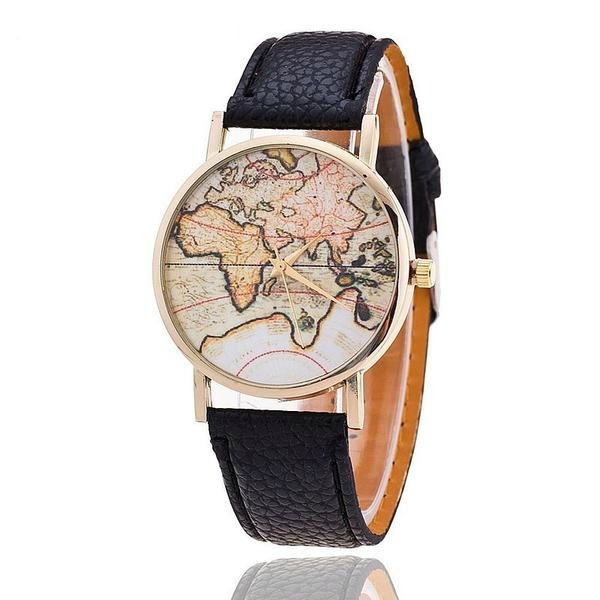 This stunning world map watch is available in various colours.